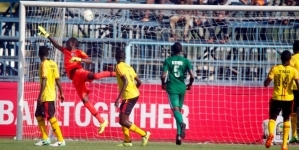 Nigeria representatives in the CAF Champions League, Lobi Stars and the flag bearers at the CAF Confederation Cup, Enugu Rangers have been tipped to go far in the two continental competitions. 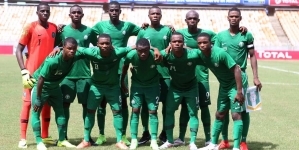 Speaking from his base in Ukraine, former Bendel Insurance and Iwuanyanwu Nationale attacker, Eddy Lord Dombraye expressed his happiness over the progress made so far by both sides in the competitions. According to the UEFA A licensed coach who is presently attached to the U17 side of FC Arsenal of Ukraine, the performances of both teams are strong indications that our local league still have talented players who can rule Africa again. “I watched the Enugu Rangers’ matches and am glad with the determination and quality of the players. I can attribute that to Coach Gbenga Ogunbote and the managerial acumen of Davidson Owumi. 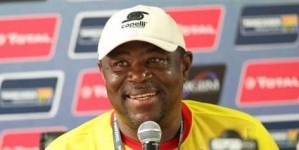 “I have twice been a member of the WAFU Cup winning sides and I know how difficult it is playing against teams from other countries,” Dombraye said. “Lobi Stars are also in the good and experienced hands of Coach Solomon Ogbeide and Mike Idoko. These men have the capabilities to lead the team to ultimate victory in the competition,” he enthused. Dombraye who has expressed his willingness to return to Nigeria to coach any ambitious team in the NPFL,however charged the management of the teams to ensure that the players and officials are well motivated and also that their welfare are made paramount. “Playing on the continent is a definitely a big deal for the players and officials. Therefore, there should be concerted efforts to get it right. “Remember, it is a long time we won any continental club title. And I believe that these teams can rule Africa if they are properly prepared,”the ex-Nigeria international added.